Did you know who the Buddha really was? Did you know what Nirvana really is? Did Buddhist believe in the concept of God? Did you know the right way to meditate which is not seeing lights or going into a hypnotic state? Find out all these questions in Proto Buddhism. Proto Buddhism is the prototype from which all other forms of Buddhism present in the world today. "All the forms of Buddhism present in the modern world are cultural modifications and not exactly what the Buddha taught. You are about to discover the original teachings of the Buddha"
We have done a research to discover the original teaching of the Buddha. Our research has lasted for more than 50 years. In order to understand the teaching, we have not only read the original Pali Sutras that are accepted by scholars to be the earliest form of the teachings of the Buddha. 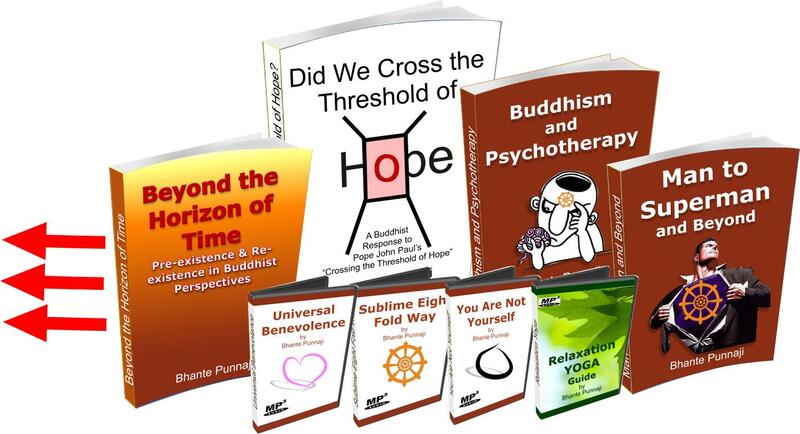 We have even used a background knowledge of modern philosophy, psychology and even modern science to help understand the very advanced teachings of the Buddha, who is well known to all Buddhist as the discoverer of the absolute truth about the world and life in it. This is not done through a blind faith in a culture or religion but based on a very critical scientific method of exploring the teaching of the Buddha. What has been discovered through this research is a wonderful teaching which is far more advance than any philosophy or science present in the world today. This fact can be realized only through a careful study of the teachings presented in this website. In conjunction of the vesak day 2013. 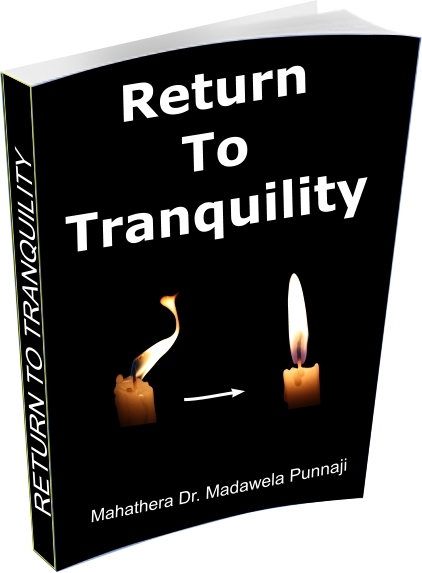 Bhante Punnaji has written a new book called, "Return to Tranquility"
To download the ebook, sign up FOR FREE and log in to download at the "MEMBERSHIP EBOOK DOWNLOAD PAGE"
Is Buddha a man or God? Do you believe in God? Who created the world? Very often people answer this question (“who created the world?”) by saying that the Buddha has been silent about the beginning of the world, and he considered the question to be unimportant. Instead of speaking about the beginning he spoke about the Four Noble Truths: Suffering, its cause, its end, and the way to its end. In support of this answer they often quote the Culla Malunkyaputta Sutta in the Majjima Nikaya. This is a good example of an inconsistent concept that modern Buddhists have learned to accept.